One of the most frequently asked questions I receive from teachers and parents is, How should I respond when a young person is upset or emotionally overwhelmed?” Since self-regulation is the core of emotional well-being (not to mention a pre-requisite for academic progress), I am not just willing…but completely eager…to share practical strategies for helping kids manage intense feelings and develop self-regulation skills. Check out my recent post from Psychology Today to find seven practical strategies for responding well to angry kiddos…and please share it with professionals, parents, and others in your network who may also find it helpful. Six students from the Freetown Elementary School in Maryland recently completed the How to Be Angry curriculum. They were kind enough to share with me their feedback on the activities, lessons, and games and gave me permission, in turn, to share it with you! Special thanks to Aimee Meyer, their teacher who led the lessons, and all of the kids who are such gracious and enthusiastic learners! 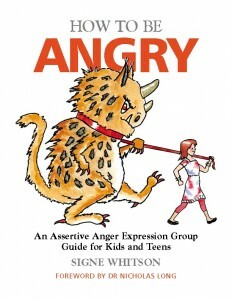 Note for Educators: Handouts for kids in How to Be Angry are reproducible! You may feel free to make kids their own workbook to use as you are conducting each session. The kids recommend it and so do I! At not-quite-nine, I am still amazed everyday at how natural and intuitive technology usage is to my daughter and to all of her peers who have grown up with computers, cell phones, tablets and texting as part of their everyday lives. I am also aware, however, that things like Internet Safety, Cyberbullying and “Netiquette” may not register on her radar the same way they do on mine. When she was very young, I worried about the unknown: online predators who could try to trick her into revealing personal information so that they could cause her physical harm. Now, in her tween years, I know that “stranger danger” is still a threat, but I spend more of my time worrying about the known: frenemies from her daily life who may use taunting texts, humiliating social media posts and viral videos to cause her emotional harm. It’s no wonder that when she begs me (at least once daily) for a cell phone, I feel chills run up and down my spine. As a licensed therapist (a good one) and a parent (a so-so one), I found this book helpful in all realms. I’m always on the lookout for good group therapy curriculum, at the same time, trying to help my very emotional and rigid son find new ways to manage his anger. The book is written without a lot of jargon, which I find to be a plus. This would be great for schools as well. I am not a therapist or a teacher. I am a mom and a manager of a large team. WOW – this book is an AMAZING tool. As soon as I started reading it, I became instantly aware of how I express anger, and how my son expresses it. But what I learned also applied to my management role. I’ve already started applying some of the principles and techniques at home and at work, and I’m amazed at the results. A little awareness goes a LONG way. And I must agree with one of the other reviewers – the confirmation that anger is healthy is really refreshing. 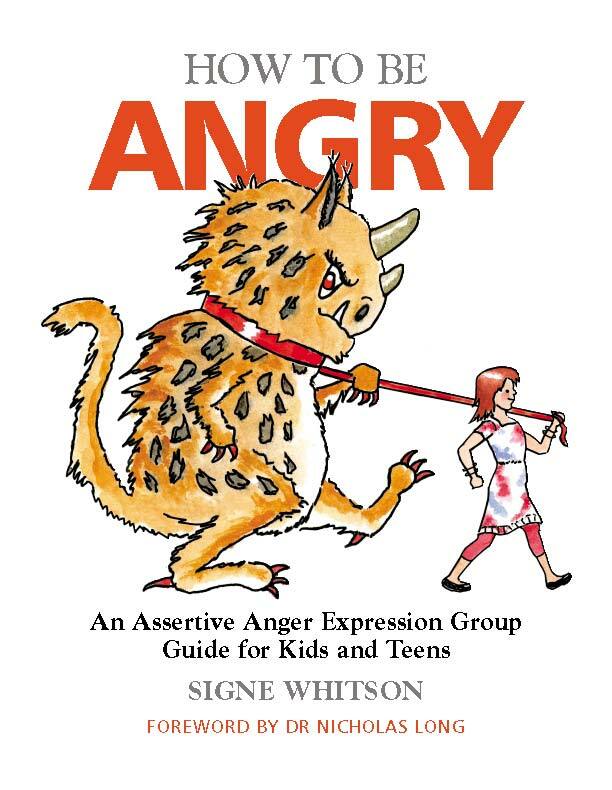 What this book does, is help us — ALL of us — to learn how to express anger in a healthy way. Highly recommend this book! Yes, We Are Talking About Bullying More! That’s the Good News. The 24/7 availability of cell phones, instant messaging, e-mails and social networking sites have intensified the impact of bullying, giving young people private ways to humiliate each other under-the-radar of adults and public ways to spread rumors and gossip to large-scale audiences. To read the rest of this story, please visit the HuffingtonPost or click the link below.